Structure doesn’t cause growth; the structure of your church determines how fast you’ll grow and the size to which you’ll grow. There is no clear organizational structure in the New Testament, and I think God did that intentionally so the church can adapt to different stages, ages,= and cultures. God gives us broad principles and not narrow rules. There is no perfect structure. As we study Scripture, we learn two general principles about organizing and structuring for growth. First, God wants us to organize around the purposes for which he created the church. And second, God wants us to organize around the gifts of our members. 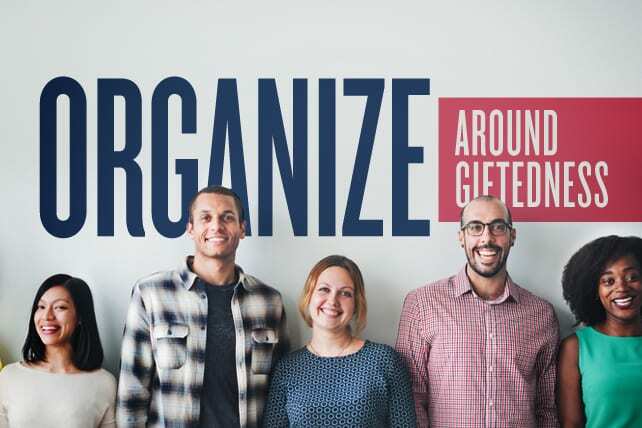 Purpose and giftedness determine how you should organize your church. It focuses the church on ministry, not maintenance. When organization is overemphasized, a church can lose its focus on ministry. I heard about a grease factory that, as it became more and more successful, had to build more machinery to produce the grease. But, they also had to use more of the grease on the machinery they were adding. Pretty soon, they closed the marketing department because all the grease was being used on their own machinery. If you streamline your structure, then you can maximize ministry and minimize maintenance. If you cut out about half of your meetings, your church would be more effective. I noticed the other day that my peach tree is covered in peaches; in fact, there might be 50 small peaches blooming on one branch. This week, I’m going to have to go out and remove about half of them. If you want big fruit, you have to get rid of about half of what you already have. That’s true in ministry, too: You have to focus if you want big results. It makes better use of talent. I remember many years ago when we were looking for land for Saddleback Church, I asked people who had a background in real estate or development to show up at my office the next night. There were 14 guys who showed up, and I didn’t know half of them. They went around the room, introduced themselves, and said why they should be on the task force. The first guy said, “My name’s Tom, and I buy all the sites for Kmart.” You’re in, Tom. The next guy says, “Last year I did $91 million in land acquisition.” You’re in. Next guy: “I’m vice president of First Interstate Bank.” You’re in.